The inaugural Dogfish Head I.P.A. (I Pedal A-lot)! EVENT PARKING: 500 Off Centered Way, Milton, DE 19968 (This is the shipping and distribution center. Cars WILL NOT be allowed through Cannery Village as this is where bicycles enter and exit). This scenic ride begins and ends at Dogfish Head Craft Brewery, and travels throughout Sussex County, Delaware. The routes are mostly flat and almost entirely on rural roads. Distances are 60 Km, 90 Km, and 120 Km. The 120 Km route may include a small section of trail and includes a ferry crossing of the Nanticoke River. The course will be well-marked and aid stations will be well-stocked. However, you are ultimately responsible, so please download maps and cue sheets (available once online registration closes). Please note that the event director may alter the proposed routes due to acts of nature, road closures, and/or DelDot recommendations. Your entry includes not only a sweet bike route, but also an event water bottle, event cycling socks, tasty post-ride grub, live music, and two Dogfish Head craft beers (for riders over 21 only - must have ID). You must register by August 1, 2018 to receive event socks. The Dogfish Head tasting room will be open after the event. DO NOT BRING ANY OUTSIDE ALCOHOL TO THIS EVENT. Remember, this is not a race. Enjoy a gran fondo style ride taking in the history and culture of the southern Delaware with your friends, family, and perhaps new friends you meet on the way. 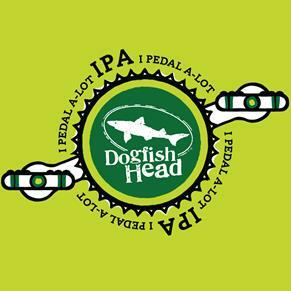 Unfortunately we are not able to allow “children’s bike trailers” for our Dogfish Head IPA ride. We feel that this ride is not appropriate for children in trailers. If on the other hand, you are riding with your child on a pull behind bike where the child is pedaling (similar to a tandem bicycle) this is allowed. We appreciate your understanding. The event will support both Sussex Cyclists and Urban Bike Project of Wilmington. We are partnering with PledgeReg - an online fundraising tool for Urban Bike Project of Wilmington. Each rider will be given a link to their personal PledgeReg fundraising page. You may also partner with others to create fundrasing teams. Funds raised through PledgeReg will benefit the Urban Bike Project of Wilmington who support Wilmington communities by providing access to bicycling as a healthy, affordable, and practical means of transportation and recreation. Every year they help over 1,000 adults and youth improve physical fitness, relieve stress, gain independence, and save money through bicycling. Riders are encouraged to fundraise for this event, but it is not a requirement for participation. *Volunteers recieve a free Volunteer shirt, food and drink ticket and lots of love. Contact Velo Amis by emailing info@veloamis.org for more information on volunteering opportunites. For up to date information, follow along on Facebook. Urban Bike Project supports Wilmington communities by providing access to bicycling as a healthy, affordable, and practical means of transportation and recreation. Every year we help over 1,000 adults and youth improve physical fitness, relieve stress, gain independence, and save money through bicycling. People: Bicycling for transportation and recreation helps members of the community stay active and relieve stress, improving both physical and emotional health. It’s a fun activity that improves the quality of life for Wilmington residents. Youth: Bicycling provides youth a means to stay active, enjoy extra independence and build confidence. Bicycle mechanics engage youth in science, technology, engineering and math (STEM) concepts. Safe streets: By helping folks make the move from their cars to bicycles, we put more eyes and ears on Wilmington’s streets and make the city a safer place to live, work and play. The economy: Bicycling helps to empower low income residents by providing access to employment and other positive opportunities. Bicycling provides reliable transportation at an affordable cost. The environment: Bicycling instead of driving reduces fossil fuel emissions, making our air healthier to breath. Parking and other facilities for bicycles require less space, leaving more room for parks and permeable surfaces that can ease the burden on our water ways.